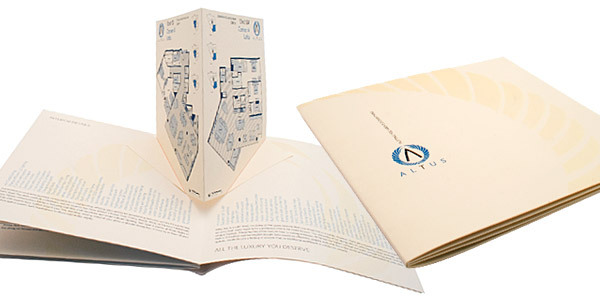 We bet you five bucks that if you took a minute to look around your office or your home, you’d find a brochure of some type. 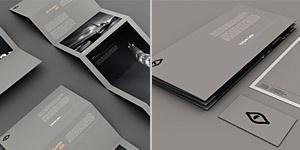 Whether it’s a memento from an event or trip or even just the recipe booklet that came with your new blender, brochure designs are hiding everywhere. 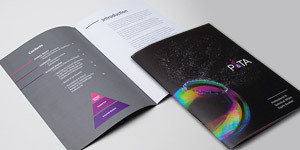 There’s a reason why the brochure continues to endure in the age of digital marketing–because of creative designers who push the limits with great ideas and imaginative designs that make a lasting impression. 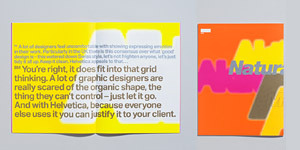 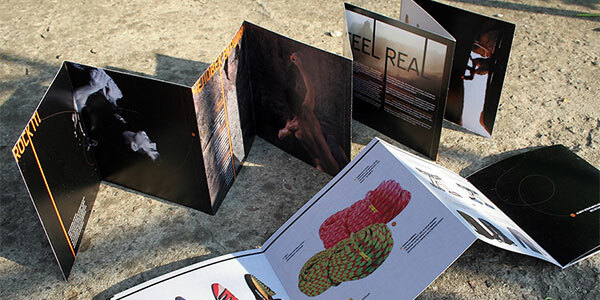 We’ve gathered up a huge collection showcasing our favorite brochure design inspiration from different industries in the hopes that they will plant a few seeds of creativity. 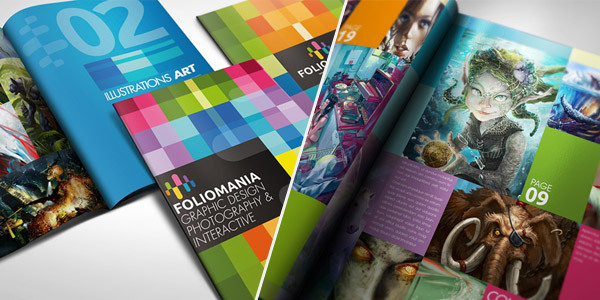 If you want your business to have a stunning brochure that would feel right at home in this round-up, try out our print design services. 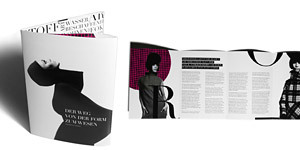 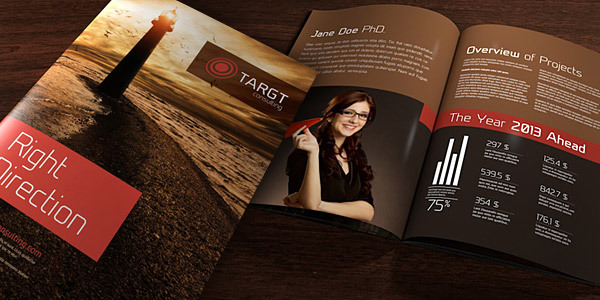 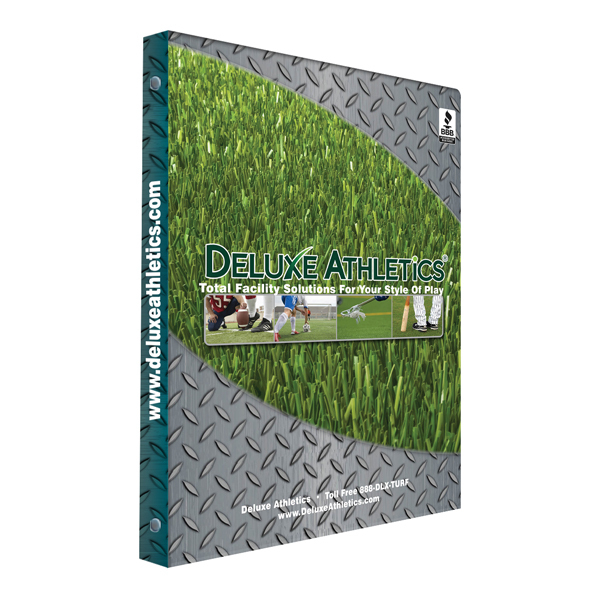 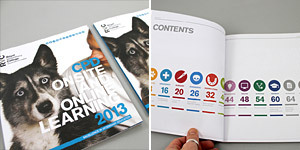 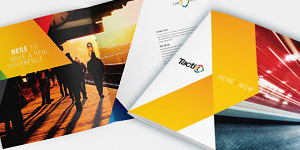 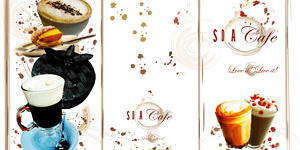 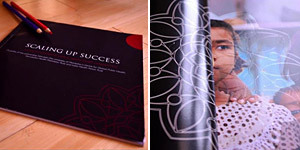 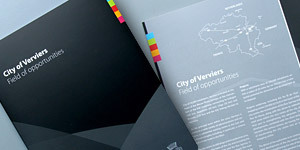 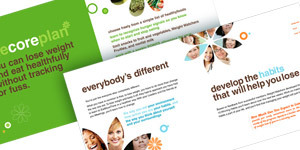 Trained graphic designers will work with you to create the ultimate brochure for your brand. 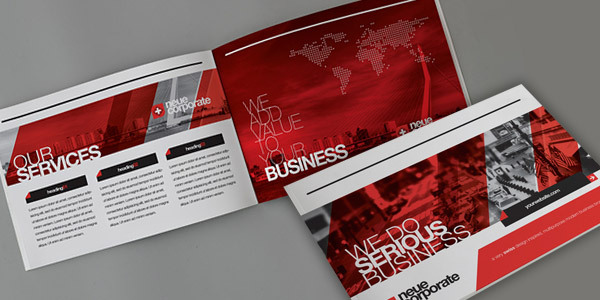 Corporate identities can be a challenge to portray accurately, which makes the following brochure designs all the more impressive. 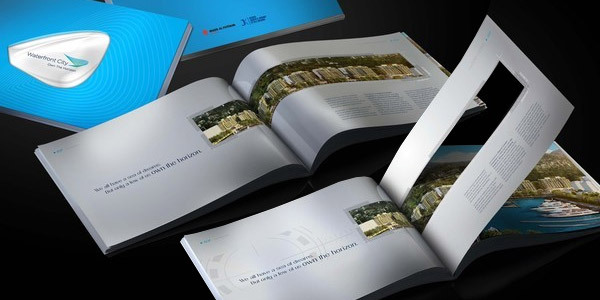 Designing professional brochures for corporate clients means thinking outside the box and finding a way to sum up the brand’s mission through visual context in a way that attracts customers and clients. 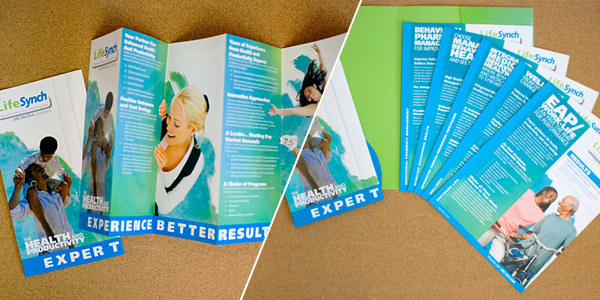 Every high school guidance counselor has an office filled with brochures for potential colleges and universities. 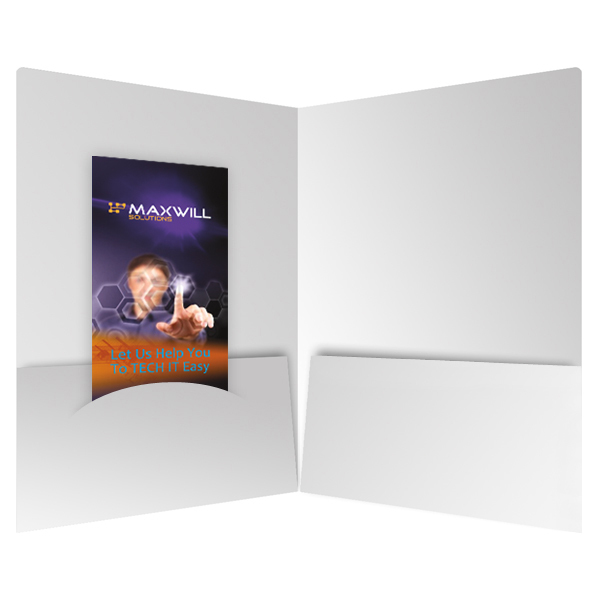 That’s because brochures are a great way to give someone a first look at a school or educational program. 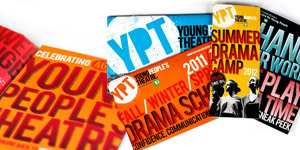 Educational brochures help give a sense of the program’s core values and demonstrate what the school is all about. 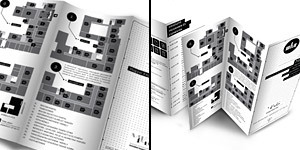 Brochures are often given away at events, providing attendees with maps, schedules and additional information on what the event is all about. 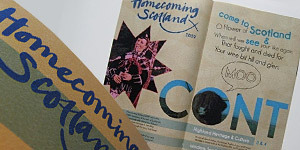 They also double as souvenirs or keepsakes for the event itself, so they have to embody the spirit of the event in a way that will be memorable. 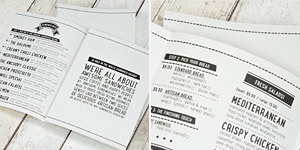 You know those takeout menus that you have magnetized to your fridge or piled up in your junk drawer? 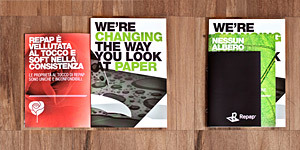 What you might not realize is that those are essentially brochures. 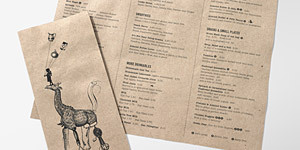 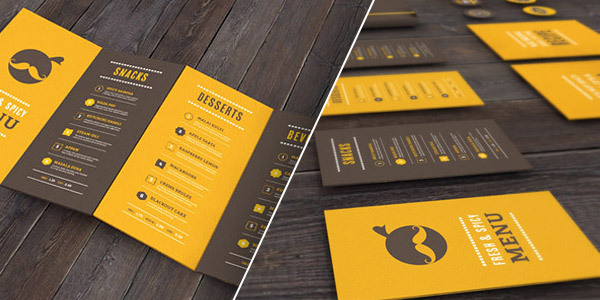 When it comes to designing for the food and restaurant industry, remember that recipients have the potential to hold on to a brochure for long periods of time. 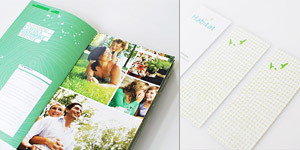 Your design has to be evergreen and represent the brand in a way that will still be accurate several years later. 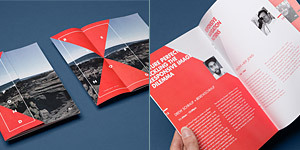 Brochures aren’t just something that designers create to help market their client’s brand-they also use them to market their own brand or to practice their design skills. 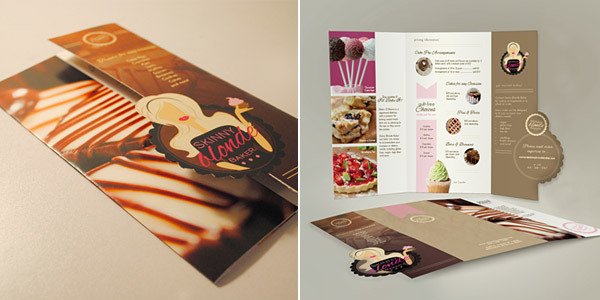 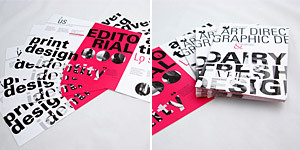 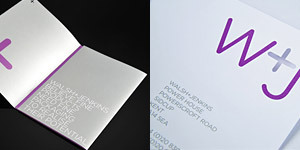 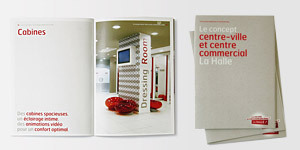 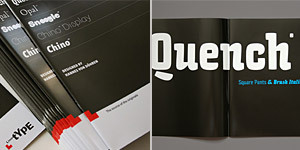 In some cases, designers use brochures just to see how a particular design element will look in print-such as a new font. 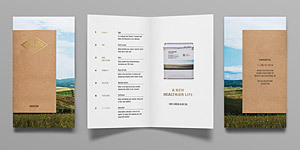 After all, the best way to get better at creating brochures is to develop a design idea for yourself to see what it’s like for your clients to do the same. 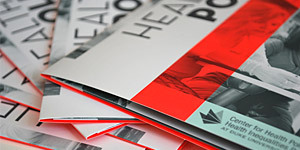 Brochures are a good way to get health and medical information out to an audience-think about all the brochures you see in hospitals and doctor’s waiting rooms. 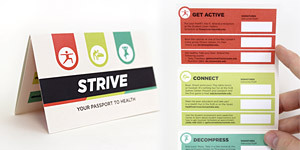 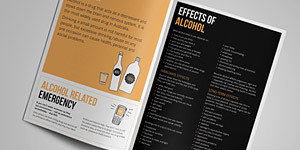 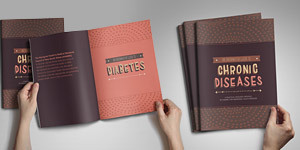 Health and medical brochures focus on getting important information to the target audience, but the designs still leave room for some interesting visuals. 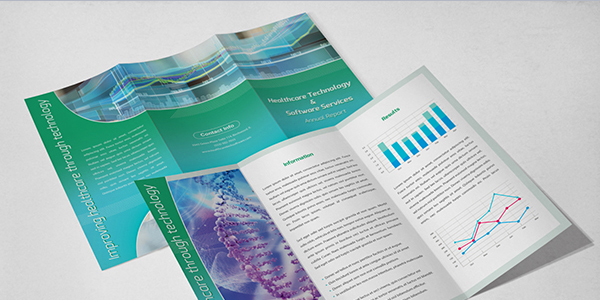 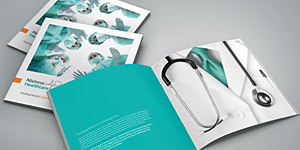 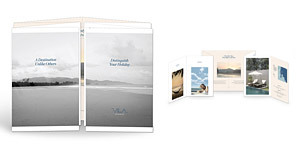 Most medical brochures maintain a friendly and positive atmosphere to help audience feel at ease while they digest the serious material contained within. 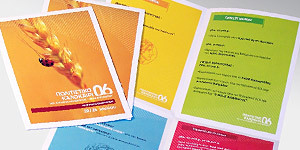 Industrial brands like to utilize brochures to give a rundown of the services they provide or the products that they manufacture. 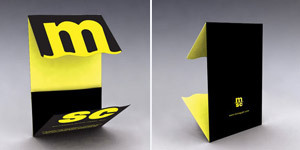 Doing this in a creative way can be a challenge, because industrial processes are often difficult for a layperson to understand and lacking in visual interest. 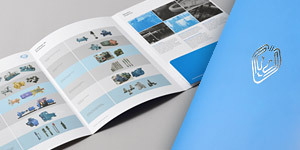 Industrial brochures help to demystify these processes by presenting information in a way that’s not only easy-to-digest, but also stylish and creative. 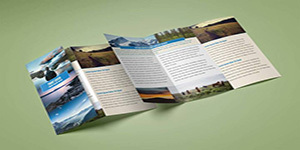 Nonprofit and government organizations rely on brochures to help get people motivated to donate their time, money or resources for the benefit of a good cause. 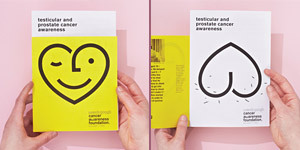 Even if no profit is made, designers still have to create nonprofit brochures that call the audience to action and provide ample reasons why they should participate—much like you would for a company selling a product or service. 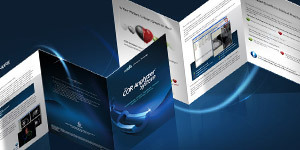 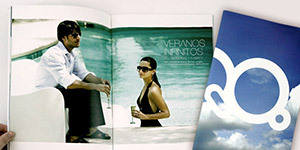 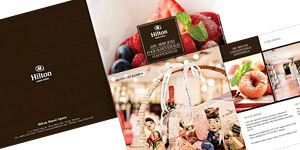 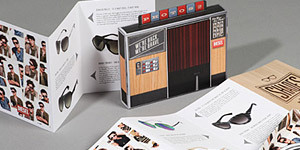 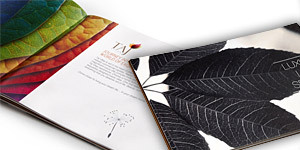 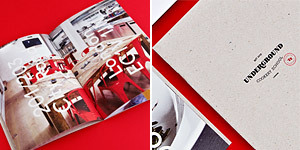 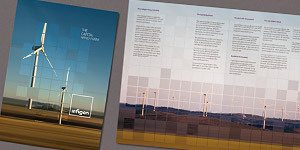 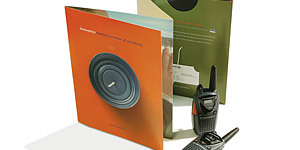 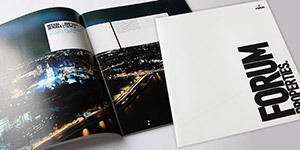 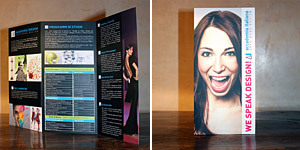 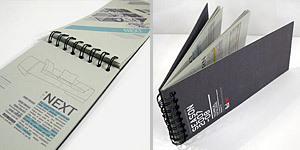 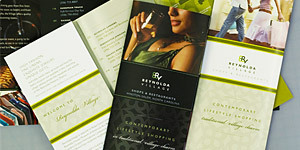 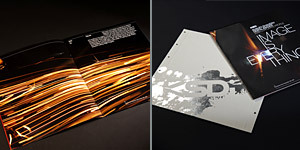 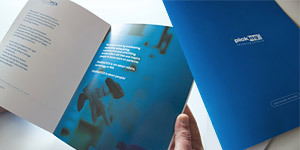 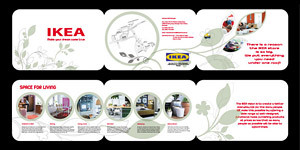 Brochures are the perfect print collateral for showcasing products. 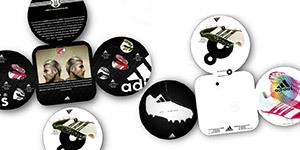 Not only do they allow you to give the audience a lot of information on just one product, you can also use them as sort of mini-catalogues to list multiple products. 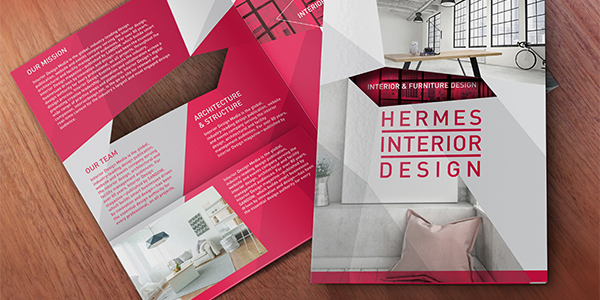 These types of brochure designs often have to pull double duty, as they must be faithful to both the product and the brand’s overall identity. 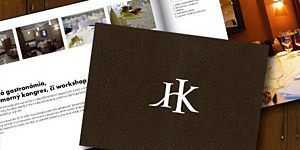 Brochures are a handy tool for realtors, but there are a few limitations to the medium. 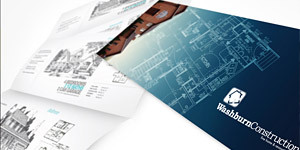 Real estate brochures are best when they focus on the bigger picture. 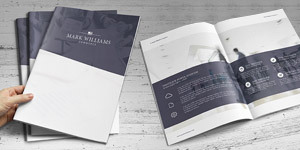 You’d never design a brochure for a single property listing, because most of them would go unused before the property was sold. 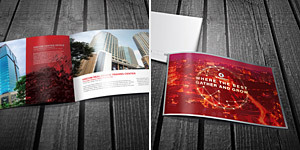 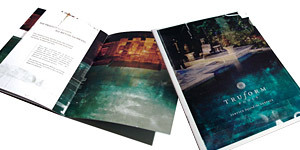 However, brochures are perfect for realtors selling properties as part of a commercial or residential development. 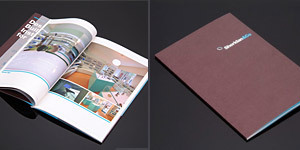 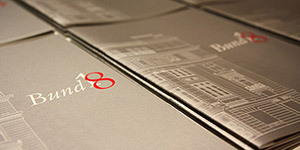 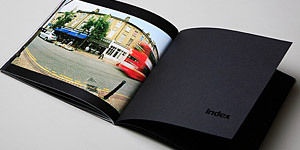 Not only do brochures give potential buyers information about the property, but also a sense of the general atmosphere. 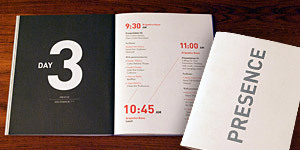 It’s rare to go to a play, musical performance or museum and not come home with a program guide. 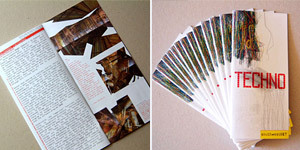 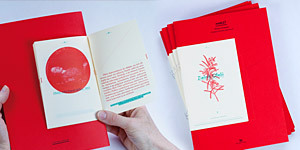 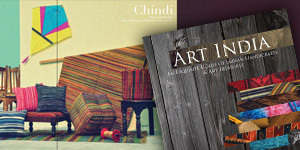 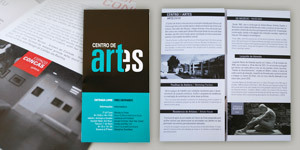 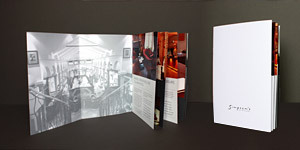 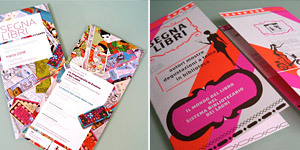 Brochures for the fine arts often provide additional information on whatever art is being displayed, whether it’s made from traditional materials or performed on a stage. 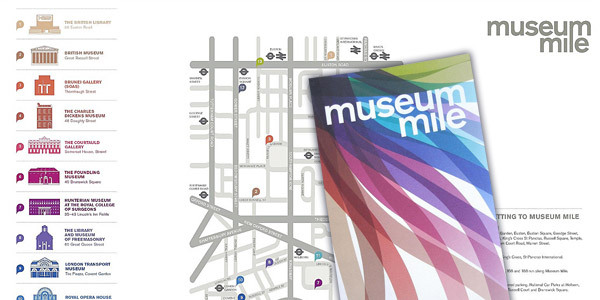 This helps give cultural and historical context to the art in a way that simply can’t be done during a performance or exhibit. 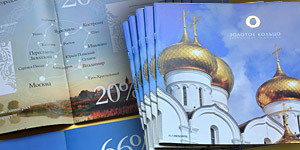 Brochures and travel go together like peanut butter and jelly. 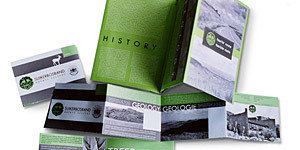 From the moment you start planning your trip to the day you arrive at your accommodations, you can expect to acquire plenty of informational literature. 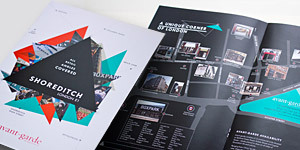 Tourism brochures help to showcase places and events of interest, giving travelers a better sense of what an area is like. 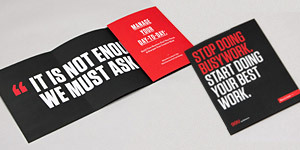 That’s absolutely vital when trying to convince someone to step outside their comfort zone. 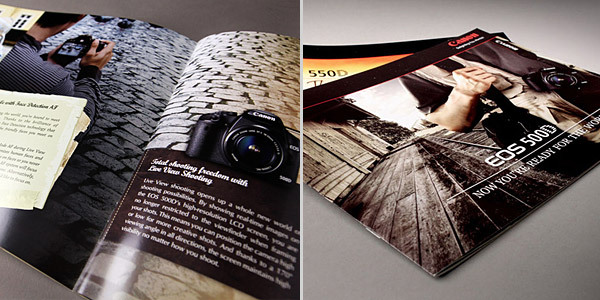 Brochures make up just one small part of a brand’s overall marketing identity, but even that small part can have a big impact. 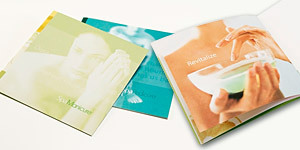 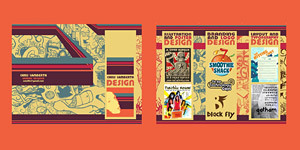 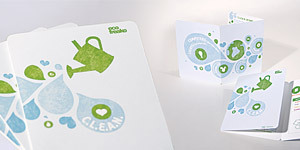 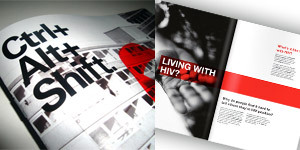 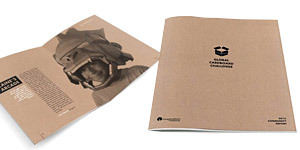 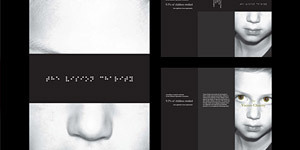 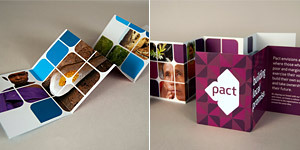 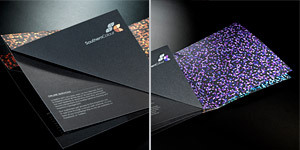 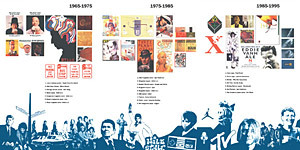 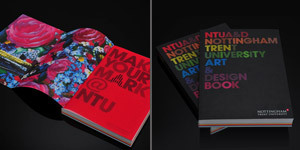 The following brochure designs were created to showcase the brand itself-many of which were part of rebranding campaigns. 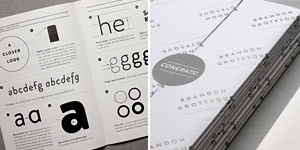 Some of these designs were created as spec pieces for well-known brands, which has amazing value for designers. 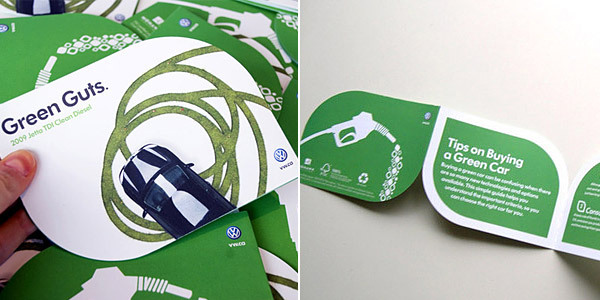 What better way to get comfortable using visuals to identify a brand than to practice on a brand that’s already well-known? 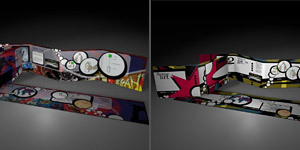 Do you think designing demo pieces for well known brands is worth the time, or should designers just stick to doing work they’re going to get paid for? 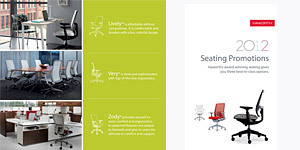 Tell us what you think in the comments below. 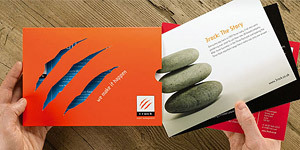 The rest of the brochures we’ve gathered to inspire you are sort of a mixed bag, but that doesn’t mean we like them any less. 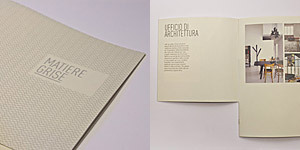 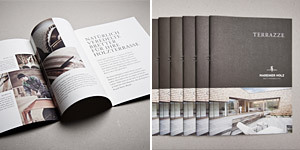 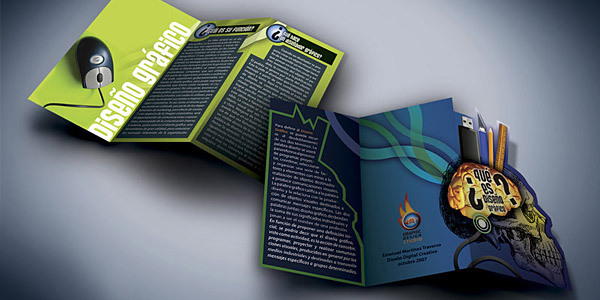 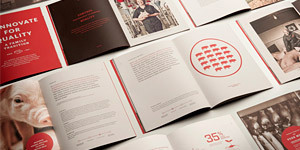 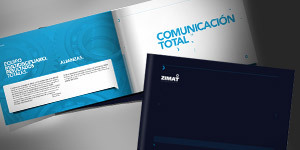 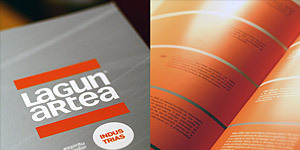 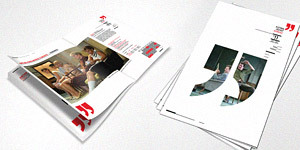 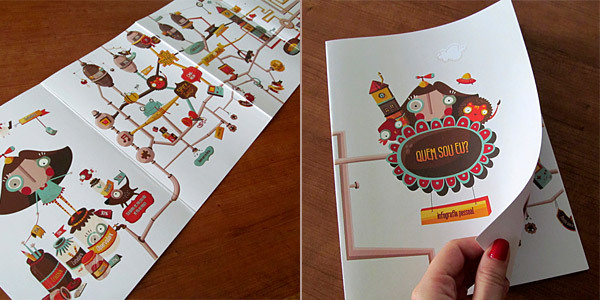 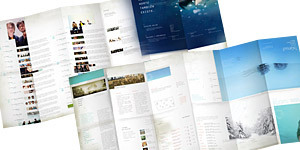 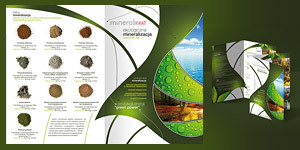 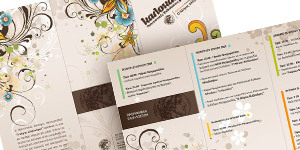 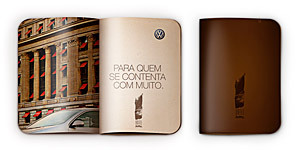 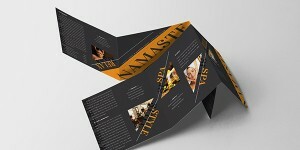 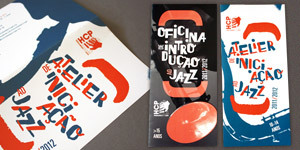 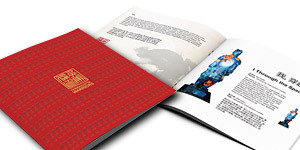 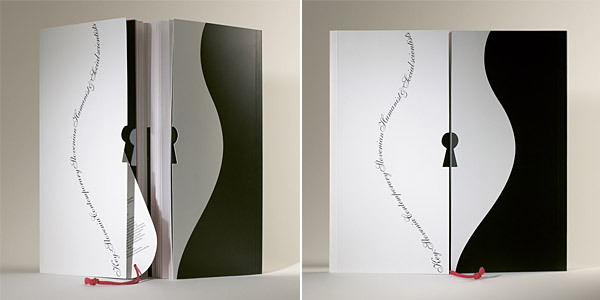 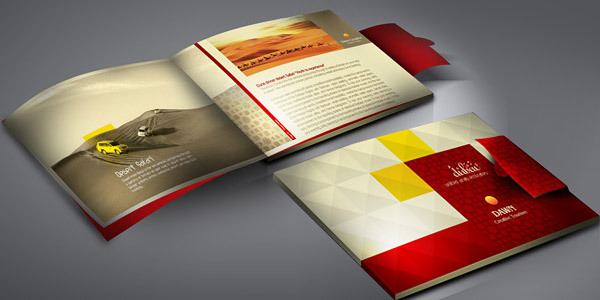 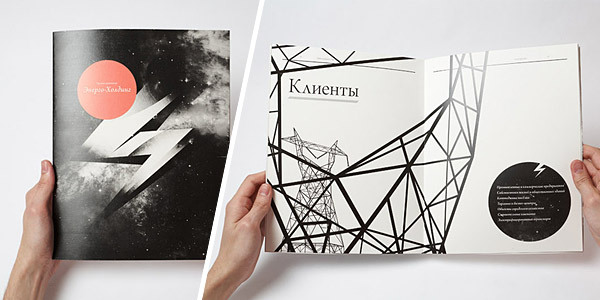 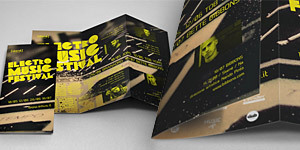 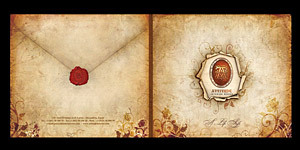 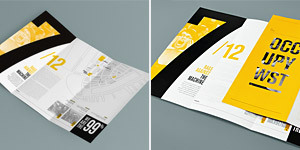 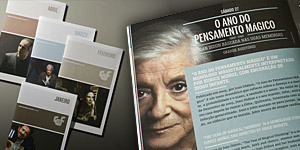 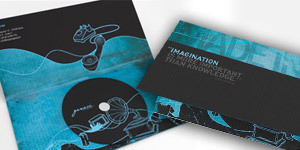 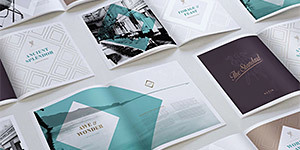 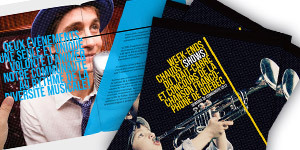 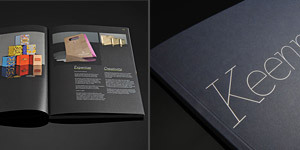 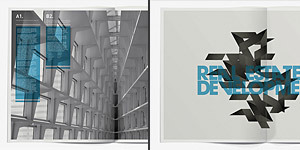 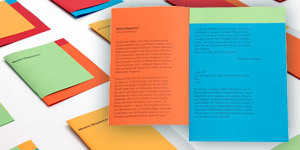 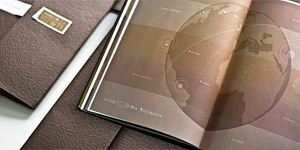 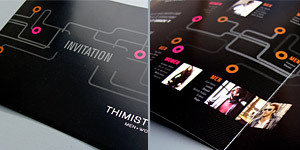 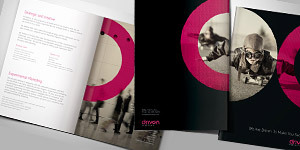 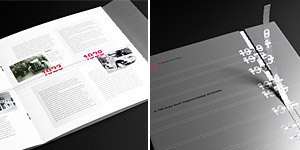 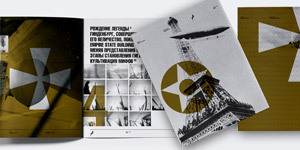 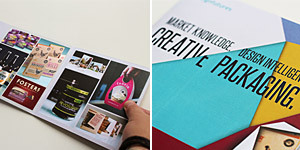 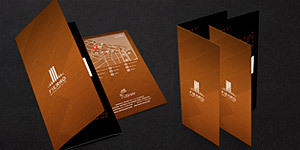 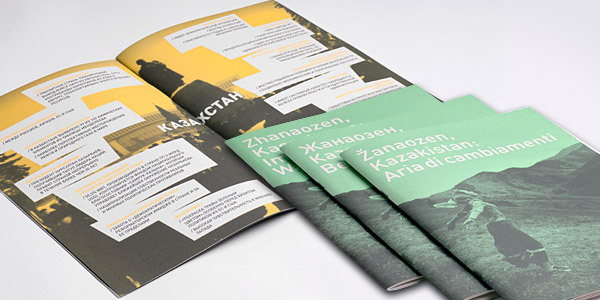 Here you will find some of the most creative ideas in brochure design. 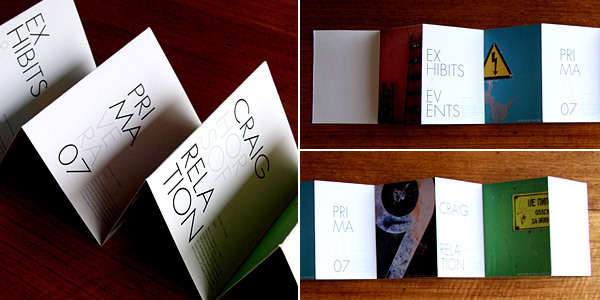 Unfettered by categorization, they defy definition and laugh in the face of tradition. 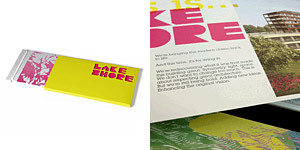 In other words, we thought they were pretty neat. 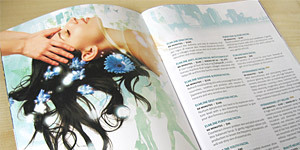 Joana Jesus – Who Am I? 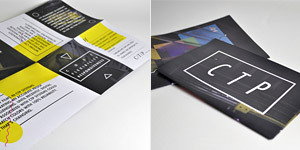 As demonstrated by the collection we’ve put together, you can see that there’s really no one way to make a brochure design. 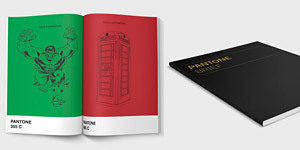 Even within the same industries, plenty of designs are wildly different from one another. 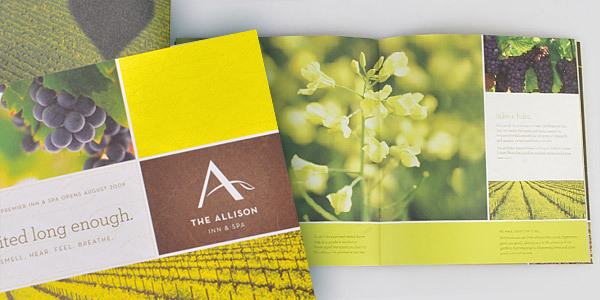 There are few hard rules for creating a brochure, so long as it is an effective means of providing crucial information while maintaining brand consistency. 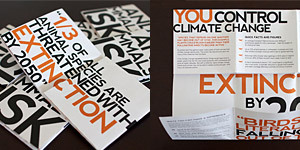 Other than that, the sky’s the limit. 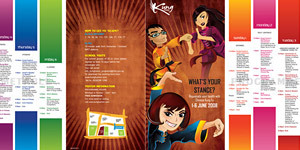 Now it’s your turn to share. 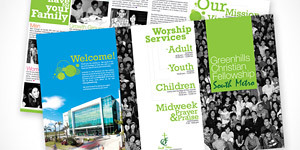 Leave us a comment with your favorite brochure designs. 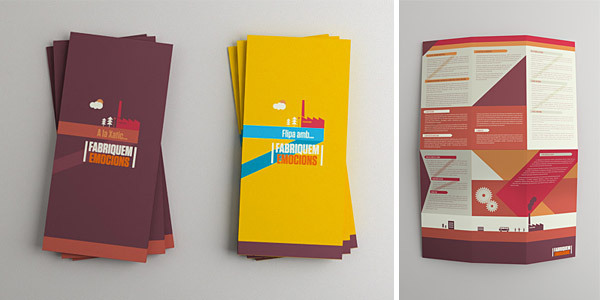 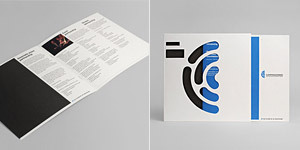 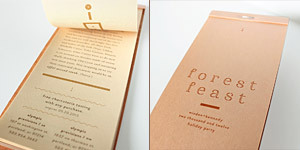 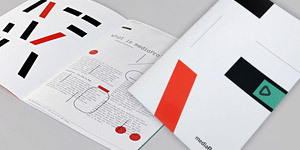 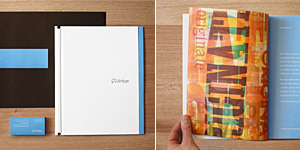 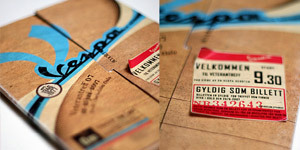 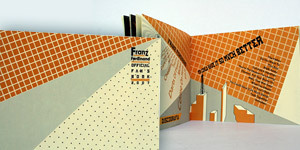 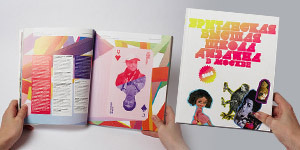 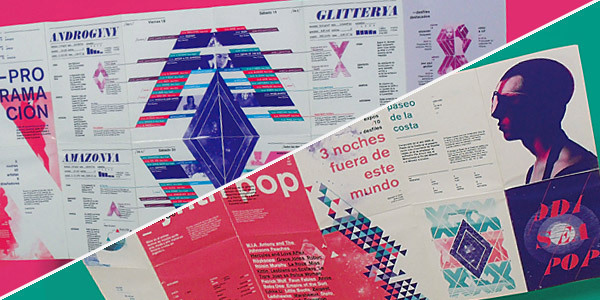 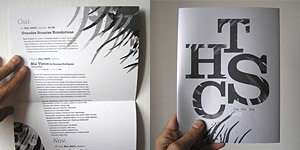 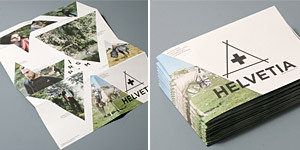 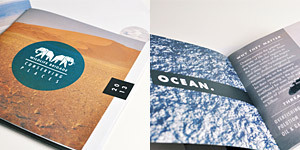 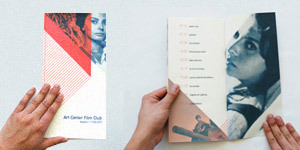 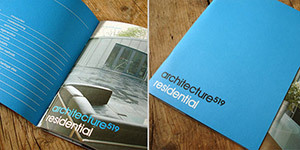 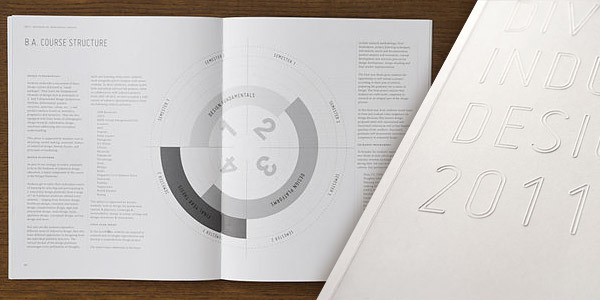 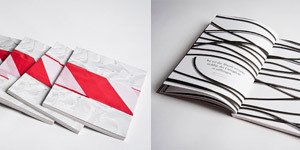 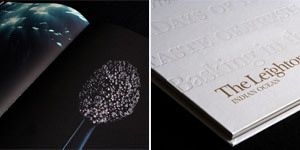 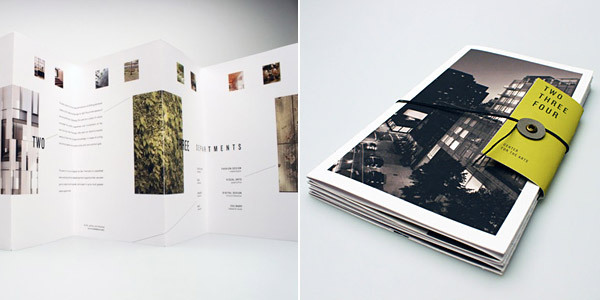 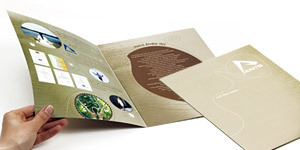 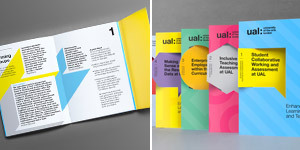 If you’ve designed some cool brochures that you want to show off, that’s even better. 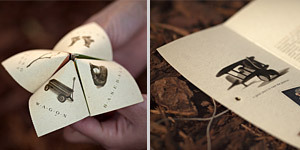 Comment below and show us what you’re made of! 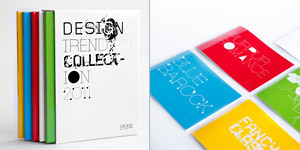 Outstanding, wowsome and coolest Design collection ! 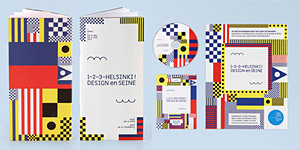 Great collections of designs. 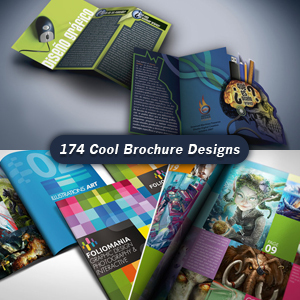 Very attractive and unique.Thanks for sharing. 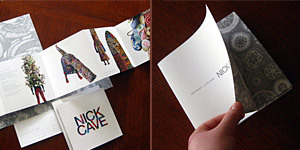 These brochures are really cool. 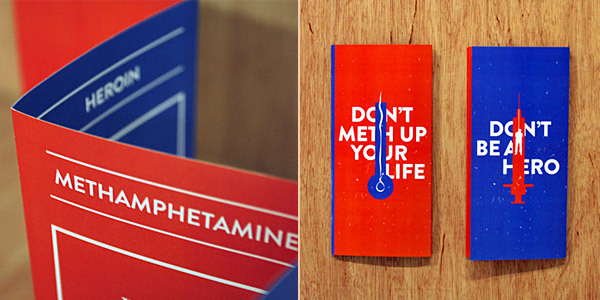 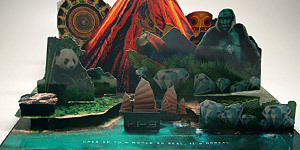 Not only they are creative and highly appealing, but they also convey the right message. 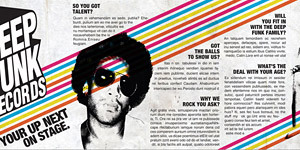 The tone, the color palette, the fonts, the image and every other thing goes perfectly well with the message. 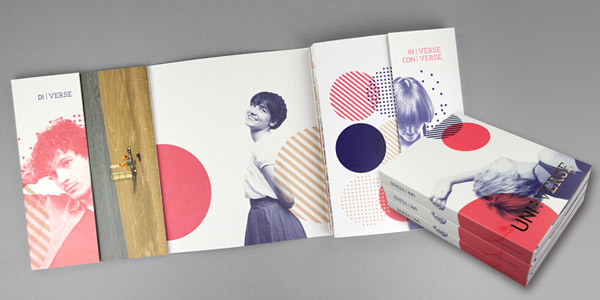 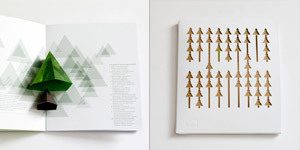 These really are some great brochure for inspiration. 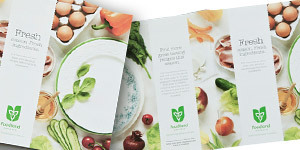 That food spring recipe book was especially good. 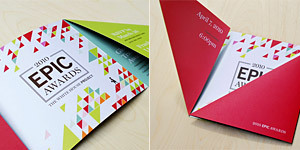 These are some lovely designs, The color patterns are very lively and engaging, and the letter art here matches with the theme of the design. 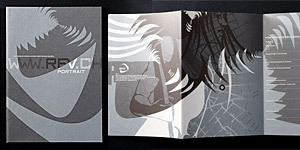 I have bookmarked this as reference, thank you for sharing your art. 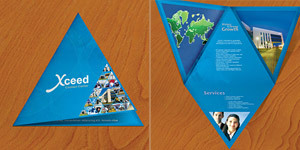 Some brochure designs really inspired me to do better. 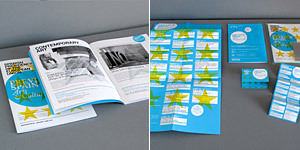 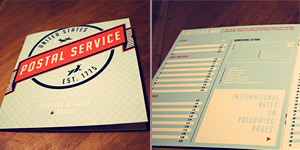 Designing a brochure has turned into a piece of art.